The new Core XJ-V110w projector makes it easy to take a first step into the world of daylight projectors. The projectors in this series use the revolutionary laser and LED hybrid light source and are available at affordable prices. The environmentally friendly light source saves energy, reduces operating costs and ensures a long service life. 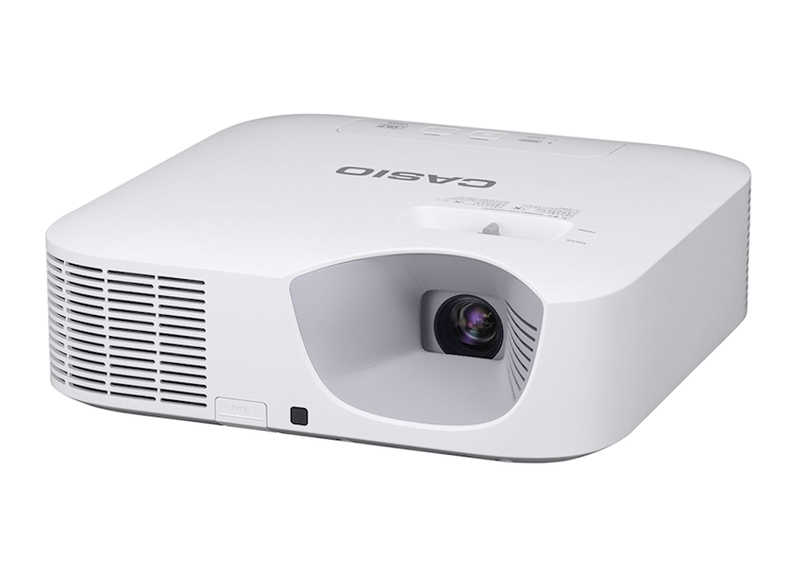 CASIO projectors are equipped with an SSI* light source employing the mostadvanced light source technology. Although the use of mercury is widely prohibited worldwide today, this hazardous substance continues to be employed as a light source for conventional projector lamps. CASIO has eliminated the use of mercury from its products in consideration of the environment. Adoption of an SSI light source, combined with CASIO’s original energy-saving design, also contributes to reducing CO2 emissions. 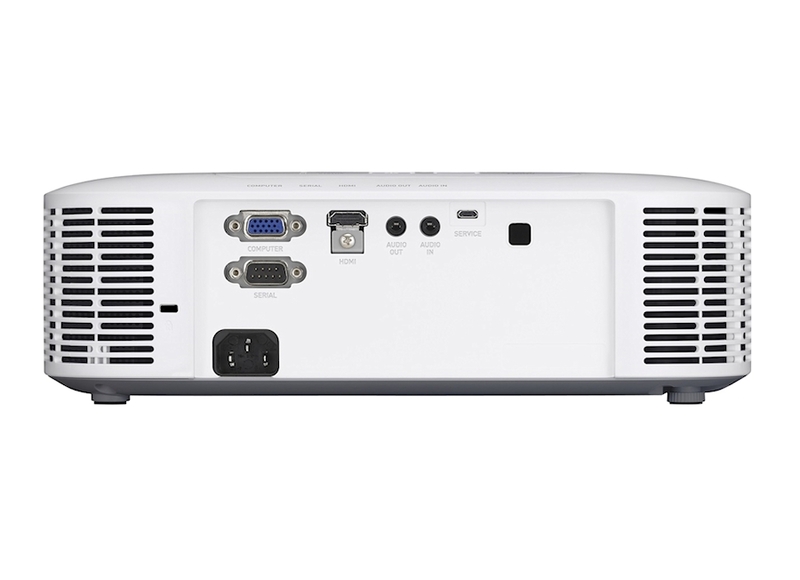 CASIO XJV110w projectors achieve a startup speed far exceeding that of conventional mercury lamp projectors. Free from the conventional projector’s need for both warm-up and cool-down time, moreover, they also achieve a fast, convenient restart after use. The structure with its square form and flowing curves exemplifies contemporary design excellence. The compact projector body assures easy portability for every user. Startup takes as little as 5 seconds after the power is turned ON, dramatically reducing waiting time before image projection. Power OFF is achieved with one push of a button, and no cooldown is required before restarting. The ability to start projecting immediately increases ef?ciency in meetings and classes, and ef?cient power ON/OFF management can help conserve electricity as well. Lamps can blow, if you need your projector working and can't afford down time, you may need to keep a spare lamp. The replacement projector lamp for the Casio XJ-V110w is the No Replacement.